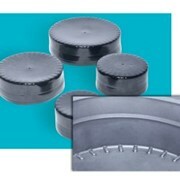 Usually hard to find, StockCap offers a broad selection of Rectangular Caps in popular sizes and colors. Flexible vinyl makes application quick and easy. Plus, Rectangular Caps possess excellent insulation properties. Can be easily imprinted with your logo, company name or custom message. 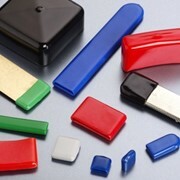 Standard Colours of Rectangular Caps: Black. Other colours are available with minimum order quantities. Red, White, Blue, Green, Yellow. At StockCap Australia we have thousands of plastic caps and plugs, tube inserts, heat shrink products, hi-temperature silicone caps & plugs, hi-temperature tapes & discs, clear plastic packaging tubes and clamshells in-stock and available for immediate delivery. StockCap manufacture clear plastic packaging tubes in a stock length of 1220mm in a variety of dimensions. Clear tubes can be quoted to cut to length upon request. 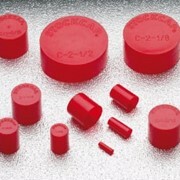 StockCap plastic caps and plugs are available in threaded and non-threaded versions in a variety of sizes and materials including polyethylene and vinyl. Our threaded caps and plugs provide the ultimate protection for BSP/NPT and JIC/UNF fittings and ports and for a lower-cost solution we stock a complete range of non-threaded caps and plugs. Our plastic tube insert range is one of the largest in the industry. In-stock for immediate delivery we have round, square and rectangular inserts for sizes from 10mm up to 100mm all suitable for a variety of wall thicknesses. For hi-temperature processes including powder-coating, our range of silicone caps & plugs and hi-temp tapes and discs are the solution. Suitable for temperatures up to 316ºC, StockCap has a standard hi-temp product in-stock and ready for delivery to cover the most demanding masking applications. So, if you need caps, plugs or clear plastic packaging tubes in-stock get ours ex-stock. Mention IndustrySearch so StockCap can best assist you! Get a callback from an expert at StockCap to help answer your questions.